These dudes are fun and thoughtful. Give it a listen if youâre into golf. Started listening to these guys recently and I canât get enough. They are very entertaining and I really like listening to their takes on golf. Also their YouTube content is gold! Keep up the good work fellas! Looking forward to the more content in the future. Plus their online store is legit. Just got my NLU towel and a couple of t-shirts today. Best podcast on iTunes! If you want a beta male named Tron lecturing you about how awful Augusta is for itâs non sustainability for having too many trees this is perfect for you. If you like golf, youâll love this. The extent of the content offered is hard to beat and very impressive. Very cool that technology has allowed these guys to create a business doing what they love. Some of the best original and down to earth golf talk on the internet. I feel like Iâm right there with you guys chopping it up. Keep up the great work. Awesome interview, laughed so hard, straight talker and great story teller. NLU is fantastic, their common sense takes are a refreshing alternative to the usual crap that one seed by the usual point-missers. They are second only to the Shotgun Start which of course is in a league of its own.The only reason I did not give 4 stars is because of the socialist âTronâ who is perhaps too woke for his own good. Absolutely love it. Doesnât LPCP. Takes and content are great research is very very well done. Lots of great guests. Love The Big Guy. Crack on! I really love the New Direction yâall have taken this podcast in. Or is it Old Direction? Definitely New. Really enjoy listening to these guys discuss all aspects of golf. They have a very solid chemistry between the cast and with their guests. They are very provocative with their analysis and ask great questions. If you like Barstool Sports Riggs - then you'll hate these guys because they actually know what the hell they're talking about. Smart, fun, contrarian, nuanced, and thoughtful. While equally stupid. Incredible content! Love the witty takes. The only constructive feedback is that a bunch of us have noticed DJ getting more and more mic time but adds the least amount of value to the pod with his amateur trying too hard to be funny takes. More Tron, Chris, Big Randy only pods or get a muzzle or shock collar for DJ. From the first pod I listened to, these guys grabbed my attention. Unabashed love for the game. Analytical without being excessive. Guys youâd want to play a round with and then hit up the 19th hole. 4 man weave is the best but interviews are exceptional too. Michelle Wie talk was excellent. If Michelle Wie could golf left handed, Iâm sure sheâd absolutely obliterate me as a lefty golfer. I think the episode really fell short of the mark because Twisted Sisterâs âWeâre Not Going to Take itâ wasnât blasted at key episode inflection points. Good on Michelle for growing and persevering through the adversity. When Iâm on the road and by myself, Iâll download and entertain myself. Soly and the team are the modern day digital Cheers if all they talked about was Tiger, Jordan and CBS Coverage of golf. If I were to re-cast, Big Randy would be Frasier Crane and Trust Fund Tron would be Diane.Would recommend you download to learn the meaning of the latest obnoxious, drunken PGA shout out, âIcaritoâ. Takes, on takes, on takes! The most exciting thing since the fedex cup ðAre the tales brought to us, by No Laying UpTC keeps his takes real beyond belief, On the instaspace heâll correct Jordan Spieth.My man with the takes for the Everyday guy, Your resident Everyman, Big DJ Pi.Then thereâs the dude, much to close to the sun,Nothing is better than watching Icharito Fun.Then thereâs the big guy, relatable Big Randall,And his innate mental miss thatâs too hard to handle.Finally, Sully playing all over the map,Kinda brings in to question the inflated handicap.Great dudes, great shows, great YouTube channel to pair with the Pod. If youâre not listening to NLU youâre wrong, fix yourself. With 17â of snow on the ground in MT the only thing maintaining my sanity is the No Laying Up crew. Whether itâs introducing something new with Wiezy, listening to DJs broadcast rant, and most of all teaching us wolf hammer which is sure to cost me my kids college fund! Keep up the great work fellas, this is the best pod on golf period!! Gripping and Sipping on the champions TOUR! Apples are Red.Icarito left Matt Yates Black and Blue.Google kept Big Randy Fed.Youâre a Narc DJ, F&#k You.If you havenât seen everything these guys do, you are sorely missing out on some of the best golf content in the nether sphere. No exaggeration, unlike Tourist Sauce where every course is the âsickest course Iâve ever playedâ. Keep sending them boys! Get your fresh golf takes! Throwing out hot takes like Big Randy and the Icarito eating hot pancakes! Love these guys and their podcast! They do a fantastic job of covering all aspects of golf. I love the professional interviews (Rory, Rahm, etc.) But also really enjoyed the other interviews (Bones, Gil Hanse, etc). Keep doing a good job fellas and make sure Soly turns the mic on...I think we are still owed another Fleetwood interview! Even Matt Kuchar thinks this podcast is worth 5 stars. These guys are like your buddies that know too much about golf and wonât shut up about it - in a good way. Every episode is worth listening to and makes time fly by. Can they be over the top? Absolutely. But youâll want to listen to their hot takes as well as their detailed interviews with pro golfers. Golf is hard, listening is easy! Iâm a former, slightly above average player who hits more lips than a drunk dentist. These guys get it! Great listen each episode. Content more solid than Colt Knostâs center of gravity! I recommend this as high as Tiger Woods recommends the ribeye from Perkins! I loooove listening to NLU, and have a shirt, towel and rain jacket to prove it, but Iâm writing this review because I need a new driver like Matt Kuchar needs perspective. Viva El Toucan! An amazing podcast that connects listeners to great guests within the golf world and shares the experiences of NLU squad as they somehow have access to some of the finest courses on the planet. Also great youtube channel! Big Randy still has the yips because he stepped on the seal in Oxford and continues to live in fear of the full ramifications. Easily the best golf podcast available. The No Laying Up guys provide insightful information about both pro and amateur golf, they get great interviews with people involved in different aspects of golf( pros, course designers, caddies, golf media members, commissioners of both the lpga and pga tours and many others) And their travel series and original content is just fantastic. The No Laying Up crew is the best available. Their ability to ask tough questions, analyze a hard as F game and offer insights every golfer wants to know while not taking things too seriously is what they are all about. Insightful to a T, I find myself continually going back to older content as I wait for their new stuff. They do not disappoint. 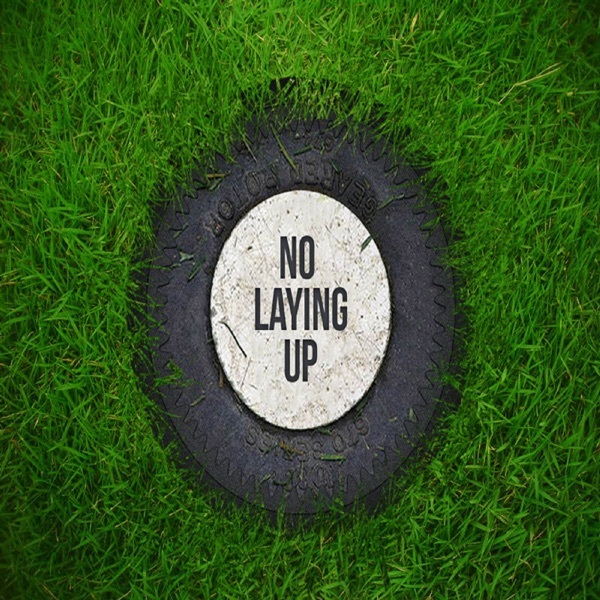 Great podcast but I feel their advice on no laying up has really hurt my golf game. I have never recorded an Eagle in my career and canât hit a 3 wood. No laying up has done more harm than good for my golf game but at least I am entertained on my morning commute. Also check out their YouTube channel. Amazing podcast! These guys are what golf is all about! The gentlemen at NLU do an amazing job of not only covering the PGA Tour, they cover the LPGA, golf travel, golf culture, architecture, and just simply having fun. They are also the greatest distraction, taking me away from my lifeâs greatest mystery. True story: I was born and raised in Cleveland, Ohio, in the inner city and about a stoneâs throw from Lake Erie. When I was a kid, I was in the backyard rummaging through my momâs garden one morning before going to school, and lo and behold, I found a live lobster. A living, (sorta) breathing lobster - pincers snapping and everything. When I told my mom what I had found, she didnât believe me. My mom, a sweet 4â11â lady from Thailand who speaks in the worst best broken English ever, is a saint. A saint I would torment as a child. Once I finally convinced her to look in the garden, she dropped the one and only F bomb I have ever heard her say to this day; âwhat the Fâ is that? !âTo my dismay, her plan was to cook the lobster that evening. I tried to save the little guy. I took him from the kitchen, placed him in my backpack, and rode my bike to the lake. I wanted him to return him to his home. The only problem with this (that I later found out... since I was like 7 when this happened) are lobsters (obviously) donât come from Lake Erie. I didnât save him...To this day, I donât know how the lobster made it to our urban backyard in Cleveland. Itâs my lifeâs greatest mystery. Soly, Tron, Big Randy, DJ Pie, and the whole cast, they are the best distraction, and help take my mind off of solving this mystery. Is it weird if I say I had an actual dream of beating Tron in a chipping contest? Itâs a little fuzzy, but I remember realizing that I was dressed like him with the bucket hat and Callaway Japan clothes and being terrified. Luckily the win made me feel a little better. So thanks for seeping into my sleep! No Laying Up makes living in Idaho bearable for an hour or two a week. Which is two hours more than it would be. Because itâs Idaho.